Drivers in the Dunlop MSA British Touring Car Championship get up to all sorts in between races, and Rob Austin and his Exocet Racing Audi ‘Sherman’ are set to perform in front of 35,000 people at the UK’s world-famous drag racing strip of Santa Pod during the venue’s Bug Jam festival (19-20 July). After a tough weekend last time out at Croft, team, car and driver are preparing for some fun at Bug Jam which comes in the middle of the summer break in the busy BTCC calendar. 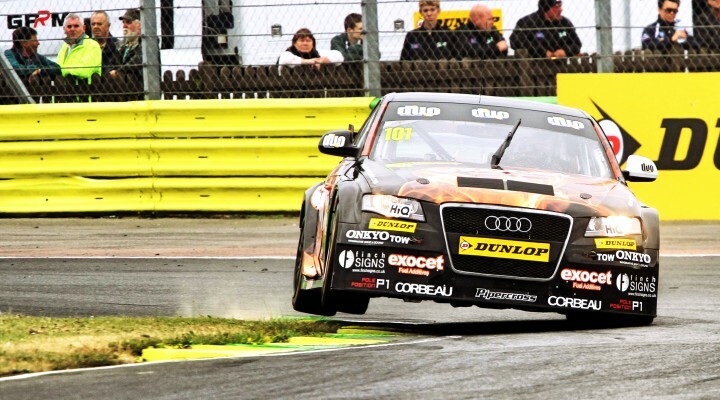 Not only will Rob demonstrate his 300bhp+ Audi several times each day but he will also be present for autographs and photos outside the Exocet Racing team awning where Sherman will be on display.